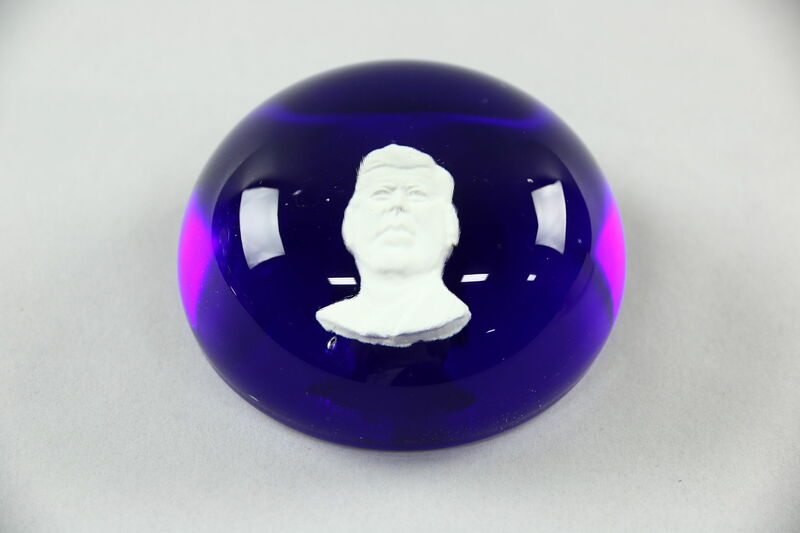 A blown glass paperweight features a sulphide bust of Pres. John Kennedy. There are minor scratches and scuffs, see photos. Size is 3" diameter and 1 1/2" tall. USPS Shipping is $6 in the US.